Swae Lee is often cited as being the more talented one out of the Rae Sremmurd duo and on face value I’d tend to agree. His musical range seems to be the most expansive and he’s not afraid to experiment with different sounds and approaches. 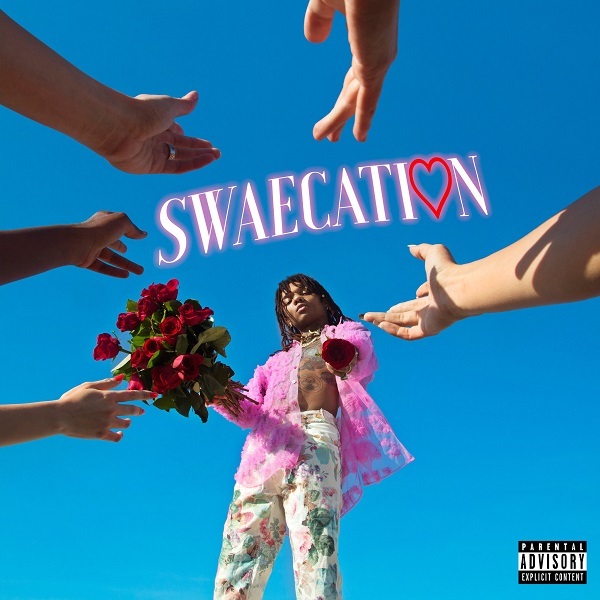 On Swaecation, for example, the parallels between their new project and Outkasts’ continues (parallels not equal) as Swae Lee goes full blown pop/R&B. Although I’d call it more melodic rapping than actual singing – he doesn’t have the strongest vocals in that regard, but what he lacks in traditional singing ability, he more than makes up for with some really infectious melodies and a harmony with the production that just feels “right.” Whereas his brother’s project was more about the traditional turn up, Swaecation is pure cruising music with all it’s lush, feel good soundscapes. In fact, the production as a whole is fantastic, even the prerequisite island track doesn’t feel ‘tired’, and I’d say out of all 3, it’s definitely the strongest and most interesting with changes and experimentation that really pays off. Have you heard Swaecation? What’d you think about it? What do you think of Swae Lee as a solo act? Hows does Swaecation compare to Jxmtron and Sr3mm? Let me know in the comments below and be sure to leave your own ratings and reactions for the album. Swae Lee just solidified the claim that he's the most talented out of Rae Sremmurd with a project full of lush cruising music and pop/R&B experimentation that paid off far more than one might imagine. Out of all 3 offerings, "Swaecation" is by and far the real standout of the bunch.